Elcomsoft Forensic Disk Decryptor 2.0 now fully supports EnCase images in the industry-standard .EO1 format, as well as encrypted DMG images. In addition, Elcomsoft Forensic Disk Decryptor can be used to create a portable installation on a user-provided USB flash drive. The portable installation can be used to image computer’s volatile memory and/or decrypt encrypted volumes. 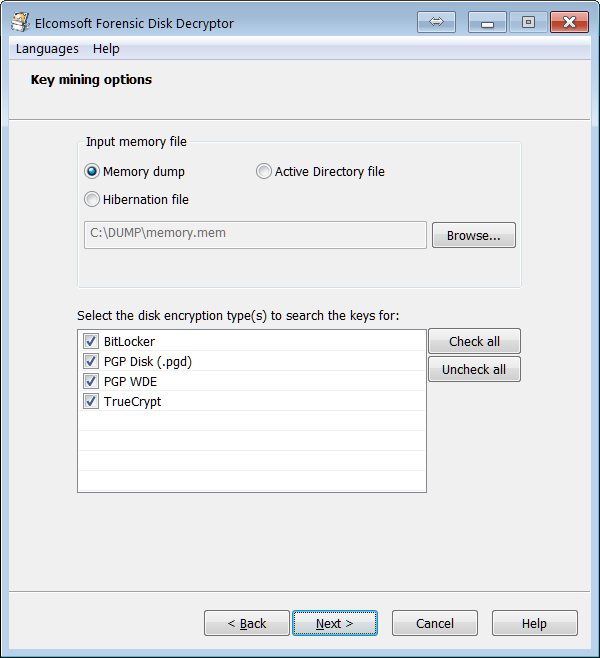 Free trial version of EFDD does not allow to save the encryption keys; in decryption/mount mode, it only verifies the validness of the key(s), but does not actually decrypt or mount the disks.